Don’t let the sappy Fifty Shades Darker opener fool you: Keanu Reeves is back and he’s gonna kill a lotta fools in this sequel to the instant classic John Wick! 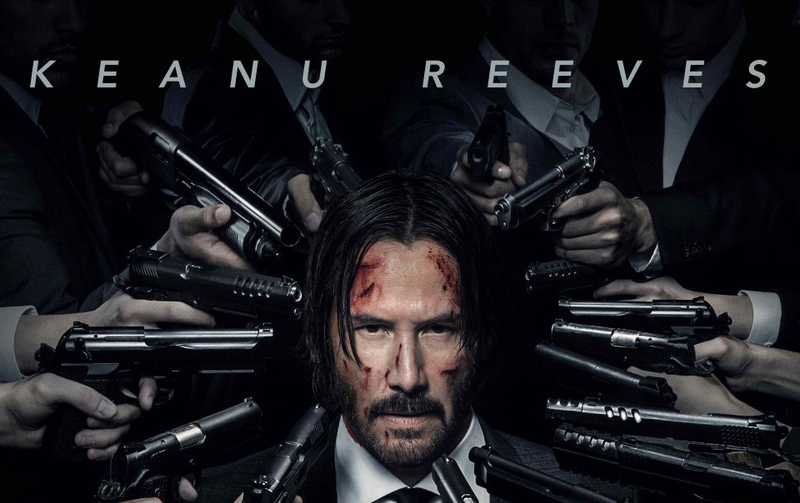 Legendary hitman John Wick (Keanu Reeves) is forced back out of retirement by a former associated plotting to seize control of a shadowy international assassins’ guild. Bound by a blood oath to help him, John travels to Rome, where he squares off against some of the world’s deadliest killers. John Wick: Chapter 2 was directed by Chad Stahelski (John Wick) from a script by Derek Kostad. Laurence Fishburne, John Leguizamo, Common, Ruby Rose, Bridget Moynahan, and Ian McShane also star.